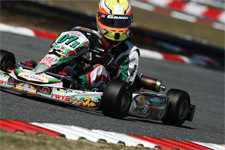 On Saturday it was second in qualifying for Gangi Jr. and a front row starting spot. 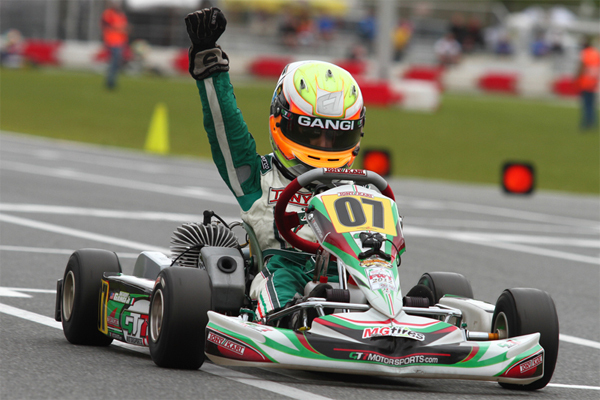 Gangi Jr. used that excellent starting position and a nice last lap pass to grab the win in the prefinal and secure pole for the first final of the weekend. In the final it was an excellent battle at the front with Gangi Jr. working the lead for the entire race gapping the field in the later stages. 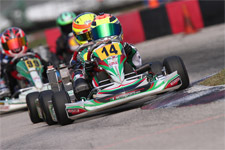 At the line to was Gangi P1 and his first win in Mini Rok at the Florida Winter Tour. 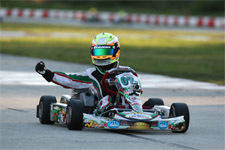 "This was clearly our best weekend ever in the Mini Rok category. We learned a lot in some testing we did and that really helped," commented Anthony Gangi Sr., GT7 Motorsports Team Principal. "Ant (Gangi Jr.) was really on his game all weekend this weekend. I want to thank Dan Sargeant for his support this weekend. Daniel Lambert was amazing and a huge asset all weekend long. We really can't thank Sargeant Motorsports enough." Sunday brought mixed weather conditions as a threat of rain had race organizers looking to move the program forward. In qualifying it was Gangi Jr. again going second quick on the time sheets. 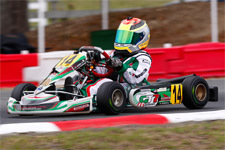 The prefinal was all Gangi Jr. as the second year Mini Rok driver took the win by over four seconds, only to be hit by a seven second penalty for a starting infraction. This put Gangi Jr. back to fifth spot for the start of the final. With weather closing in fast the Cadets lined up and rolled onto the track for the final. As the field took green on lap one, the skies opened up and the race was red flagged. Officials had the Shifters run their race with the TaG Cadets regrouping for a wet race to close out the event. Off the start Gangi Jr. headed to the front on the very wet circuit as he chased down the lead group. 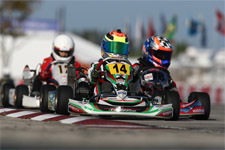 Gangi was close to the leader when the kart in front of him spun and forced Gangi Jr. off track in the back section. The ten-year-old racer was able to recover and grab third for a second podium on the weekend and some valuable championship points. "This weekend of Mini Rok was our best yet. Chris (Perez) and Gary (Willis) were great. It was so amazing to have Daniel (Lambert) working with us. I really want to thank Mr. Sargeant for all of his support," comments Gangi Jr. "I really like the Ocala track and my Tony Kart was great all weekend. I think we could have won the Sunday race but getting back to third place in the rain was good. We wanted to get up to third in the championship and we did. This weekend is the final for Mini Max and I am really excited about our chances for a podium." 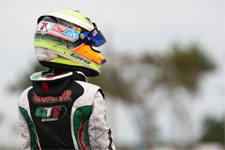 Anthony Jr. will return to Florida Winter Tour action this weekend as the Ocala Gran Prix circuit will host the final weekend of racing for the 2012 Florida Winter Tour. The GT7 Motorsports team will hit the track with Anthony Jr. in Mini Max and teammate Dylan Tavella running in the Micro Max class.